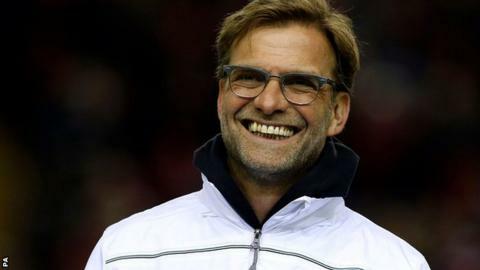 Liverpool manager Jurgen Klopp has been handed a return to Borussia Dortmund, with the Reds facing the German side in the Europa League quarter-finals. Klopp, 48, left Dortmund last summer after leading them to two Bundesliga titles and a Champions League final. Sevilla, trying to win the competition for the third successive season, face Athletic Bilbao in an all-Spanish tie. La Liga rivals Villarreal meet Czech side Sparta Prague, while Portugal's Braga face Shakhtar Donetsk of Ukraine. Liverpool will travel to Dortmund's Westfalenstadion in the first leg. Klopp's Liverpool playing the club at which he built his reputation is the tie most neutral fans were hoping to see at some stage of the Europa League. But the German, who replaced Brendan Rodgers in October, said after Thursday's 3-1 aggregate victory against Manchester United that he wanted to avoid them in the last eight. Thomas Tuchel's side are widely considered favourites for the competition after beating Tottenham, who are second in the Premier League, 5-1 on aggregate in the last 16. "Dortmund - why would I want the world's strongest team?" said Klopp, when asked whether he would like to face his former club in the next round. "But if we go there, we try to win. We have to be prepared and hopefully we are." The former Mainz manager led Dortmund to the 2011 and 2012 Bundesliga titles, plus the 2013 Champions League final, before asking to be released from his contract. However, the 1997 Champions League winners struggled in Klopp's final season and were briefly bottom of the Bundesliga before rallying to finish seventh. Under Tuchel, Dortmund are second in the German top-flight, five points behind Bayern Munich, and unbeaten in their past 14 matches in all competitions. Spanish sides are dominating this season's European competitions, with three representatives left in both the Europa League and Champions League last eight. At least one La Liga side is guaranteed a place in the semi-finals of each competition, with Sevilla drawn against Athletic in the Europa League shortly after Barcelona were paired with Atletico Madrid in the Champions League. Sevilla are seventh in the Spanish top flight, one point ahead of Athletic - who beat Gary Neville's Valencia in the previous round. Unai Emery's side won 2-0 in the only league meeting between the two teams so far this season. "I'm not happy with the draw because we wanted to avoid a Spanish side," said Sevilla technical director Monchi. "We're going to play a real in-form side. Both sides are fighting for the same thing in the league and the tie will be decided by little details."